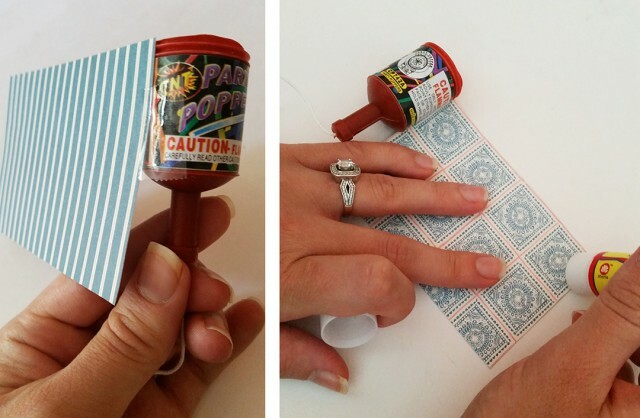 I love party poppers! And I love making them holiday appropriate! 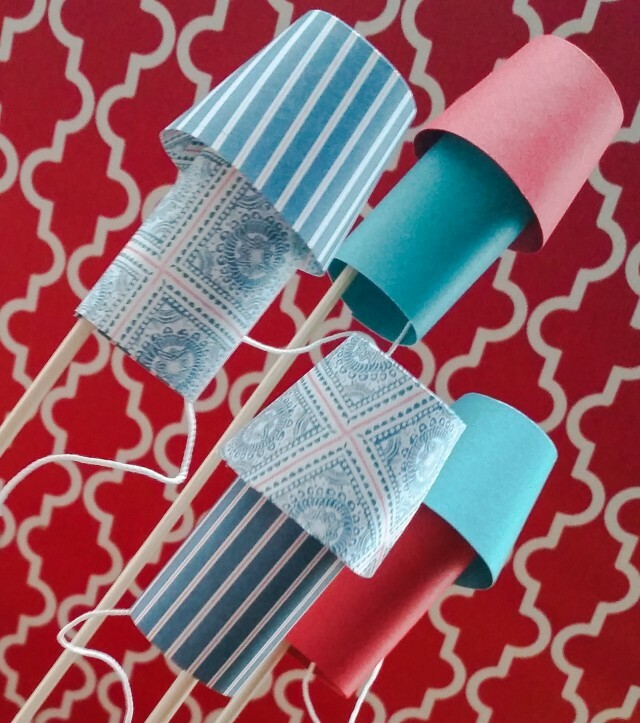 For the upcoming 4th, disguise your poppers as patriotic fireworks with this easy DIY. 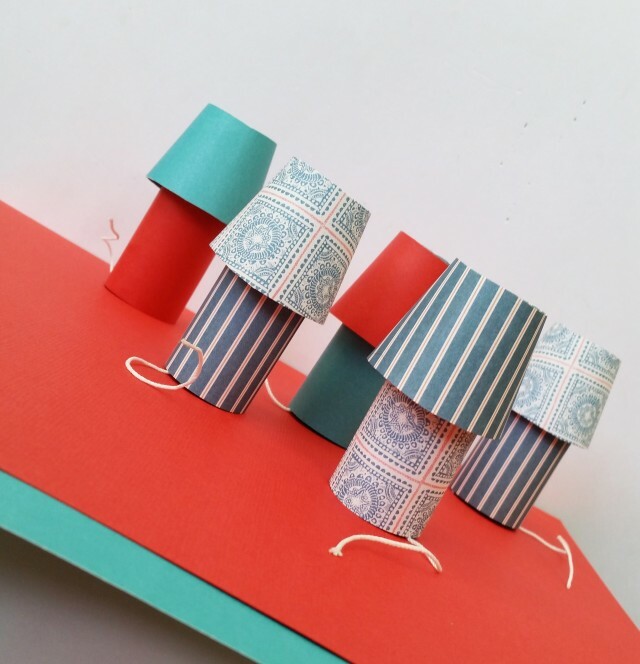 Gather your poppers and paper and cut out rectangles measuring 2.75″ x 4″ and cone pieces from the template, below. 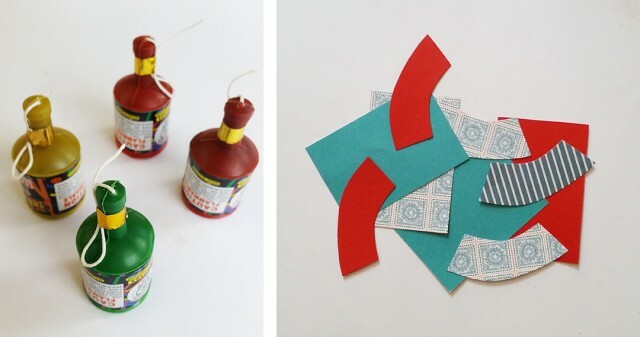 Remove the foils from the poppers and tape the short end of the rectangle to it. *note: my photo shows the wrapper still on the popper but removing it will give better results. Then apply glue to the inside of the opposite side and roll it around the popper to secure. Roll the cone making sure that the top is no smaller than the opening of the popper. Secure with tape. 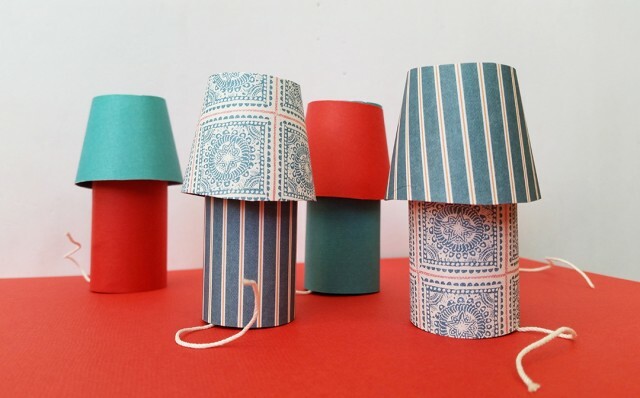 Either use double sided tape or glue along the top of the cylinder. 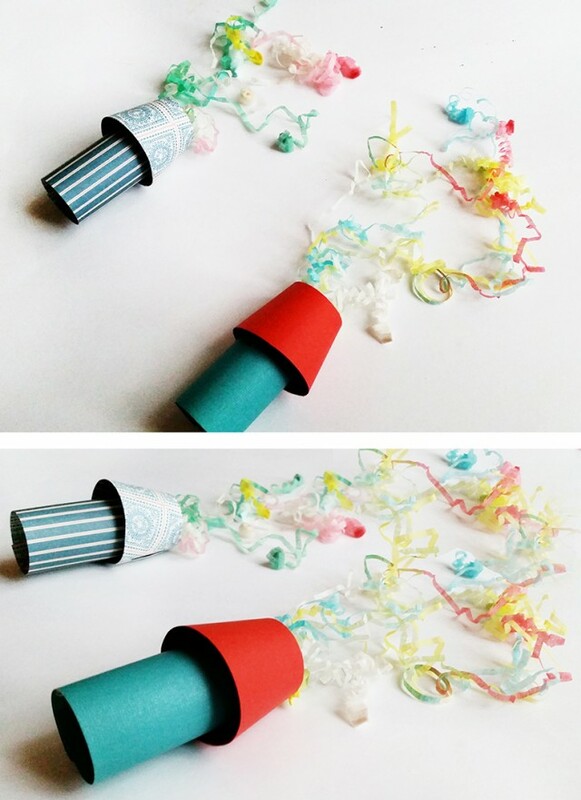 Then slide the cone onto the cylinder and enjoy your festive confetti streamer shooters!